There are two ways to send tests to your candidates from CodeSignal. This method of sending test to candidates is helpful if you wish to track whose test invitations are "Pending." In the Tests tab, select the test that you want to send. Click on the Invite Candidate button. Enter the candidate’s name and email address. Select the length of time before the test expires, and the job for which you are screening the candidate. If you wish, you can add more candidates. 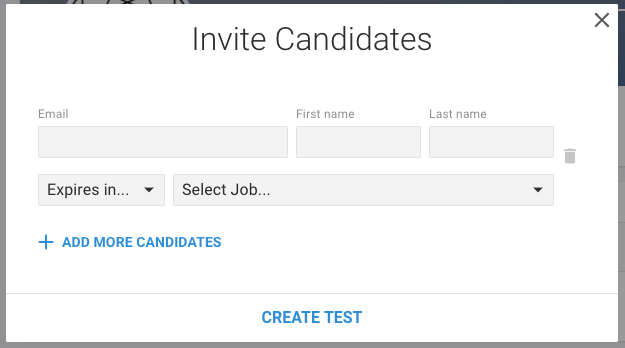 When you’re done adding candidates, click Create Test. On the confirmation screen, ensure that the candidates’ email addresses are correct. 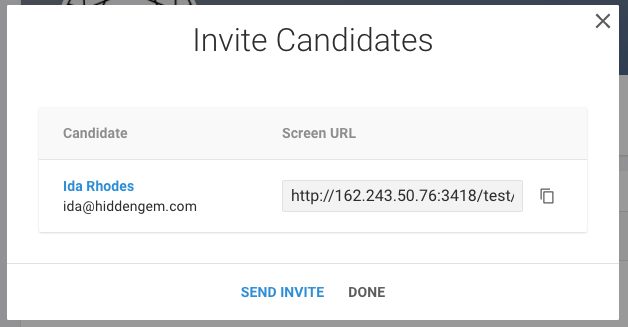 At this point, you can either copy the screen URL and send it to the candidate OR click Send Invite if you would like to send an automatic email that includes the link to the coding test to the candidate. 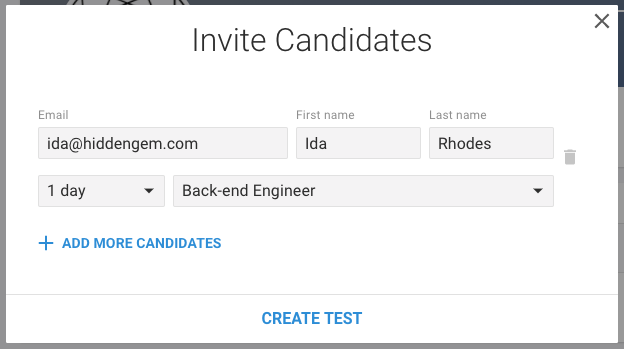 Alternatively, if you have dozens of candidates to send a test to and want to save time, create one shareable link to your test that can be sent to multiple candidates. Note that with this method, you cannot track which invitations are "Pending." In the Tests tab, select the test that you want to send. Click on the "Shareable Link" button. Select a job and hit the "Create" button. You will receive confirmation that the shareable link has been created, after which you can copy the shareable link to your clipboard and send it to multiple candidates at once. Questions? Send them to us at [email protected].